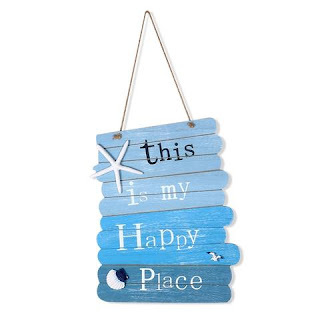 This item is made of MDF wood material for durable and practical hanging. With a sea gull a sea star and a shell for decoration, it looks very beautiful, casual and unique. Such a beach style plaque with casual feeling will be perfect wall or door decor for your home and shop. - Using handcrafted workmanship, original. - Perfect hanging for decorating wedding, bar, club, cafe shop, clothes store door and window. - Make your place more unique and attractive. - Fashionable, vintage and characteristic. Bring a casual and elegant feeling to your guests.